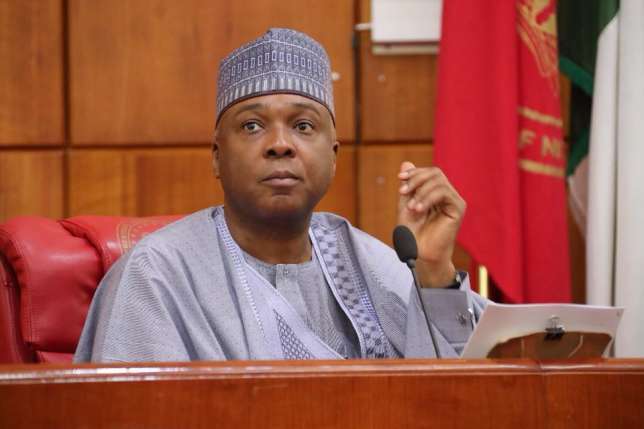 Meanwhile, the ruling All Progressives Congress (APC) on Wednesday said it had not given up on its belief that Senate President Bukola Saraki was a usurper who needed to vacate his position since he now belonged to the Peoples Democratic Party (PDP), which is in minority at the Senate. The party also said it was confident that the forthcoming elections would dash Saraki’s hopes of returning to the Senate as the people of Kwara Central would reject him as their representative at the polls. Saraki was elected as Senate President in June 2015, much to the chagrin of the APC leadership which had pencilled down Senator Ahmed Lawan for the position. Several efforts by the party to remove him from the position have failed. Comrade Adams Oshiomhole, the APC National Chairman, has been at the forefront of Saraki’s removal since his defection to the PDP. He insisted that the position was for the APC, the party with majority members. On his part, Saraki has vowed to keep his seat, saying he would only step down if he lost the support of majority of senators. Speaking with Daily Independent, Lanre Issa-Onilu, the National Publicity Secretary of the APC, said the party had not given up on its position that Saraki was a usurper who should vacate his position for the APC. He, however, said it would not allow Saraki distract the party and the government of President Muhammadu Buhari from fulfilling its promises to Nigerians. He said: “We have never given up on the issue of Saraki remaining in position as Senate President. We will continue to regard him as a usurper. “There is nowhere in the world, in a presidential system of government, where the minority sits as the leader of the National Assembly, be it in the Senate or House of Representatives. It is for the party in the majority to decide who the leader is. “Though we see him as a usurper, we are a serious government. We have a responsibility towards governance. “This is somebody whose main interest is to ensure that we don’t have the opportunity to do those things that we have promised to do for the people of this country. “We won’t allow such a person to constitute a hindrance to governance. So, we have to be practical and pragmatic as possible in a way that we will be able to deliver on our promises. Issa-Onilu also said the APC was confident that Saraki would not return to the Senate for another term. “We know that election will take care of him. His people are going to reject him. The people of Kwara Central will reject him at the polls come February. So, he is not a major issue for us now. “The major task before us is to continue to execute those major projects that we are executing, come up with policies and programmes that will positively impact on the lives of Nigerians. “We are focusing on things that will make Nigerians renew our mandate in this election. But that doesn’t mean we ignore the fact that he is a usurper who is sitting on the seat that doesn’t belong to him,” he said. Also speaking to Daily Independent, Saraki who spoke through Alhaji Yusuph Olaniyonu, his Special Adviser on Media, described the statement by the APC as an empty wish which would not materialise. He also sounded a note of warning that the APC would meet its waterloo in Kwara if it attempted to rig the elections through federal might. He said: “It is an empty wish. They are not God who can determine the future of anyone. The people of Kwara know those who are with them.